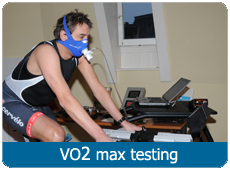 You are a fanatic runner or cyclist, performance is therefore important. You want to achieve a place on the podium in a cycling race, improve yourself, in comparison to your best time at the half marathon, or in comparison to your clubmembers in a hard cycling challenge. You spend a lot of hours at training and sport is important for you. Your competition program or busy daily life requests a frequent adjustment of the schedule. You are searching for a personal trainer who motivates you in personal telephone contact and who is looking carefully for good solutions when a scheme must be adjusted to your training progression, or if you, due to circumstances, are not able to execute your schedule. Because performance is the most important you appriciate that your coach gives you advice in other fields than training alone, for example in the field of nutrition or strategies during a race or challenge. The trainingschedule will be composed by a experienced coach on base of your current form, the available training time and your traininggoal. The training sessions will be planned at the days which are defined by you. Besides, you can define at which days you participate at other events than your final goal, so the coach can reckon with that during the composement of the scheme. Furthermore, the coach will advice you which events you can choose best to be in optimal shape at the time of your traininggoal. You notice the executed training sessions in a personal logbook. Adjustment of the trainingschedule takes part twice a month. The training sessions from the previous two weeks will be evaluated via telephone contact between the athlete and the coach. On base of this conversation and an analysis from the information filled in by the athlete in the logbook, the coach will make a new schedule for the next two weeks, with respect to the new wishes for the next two weeks with relation to the available training time. The coach will learn which training sessions will have the expected effect to the athlete and which training sessions are less effective, therefore the coach will give in the future more apply to the training sessions who are more effective. Every two weeks, you can, during the evaluation conversation, tell the coach if your available training time is changed. This is also possible, to a lesser extent, in the mean time. The coach will adjust the training schedule. 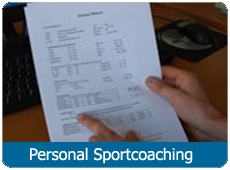 The coach has 2 hours per month coaching time for your availability. He will spend that time to the evaluation of the trainingschedule in the two-weekly telephone conversation and at the replying from questions about the executed training sessions. 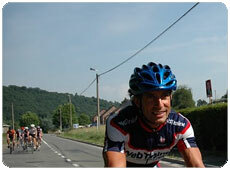 Furthermore, he will motivate you and give you tips to achieve your final goal from the training sessions. That are not only tips in the field of training. but also about nutrition, and strategies during the race or a challenge. Besides, the coach will, to a lesser extent, give you advice about at which races or challenges you can particapate as preparation to your final goal.